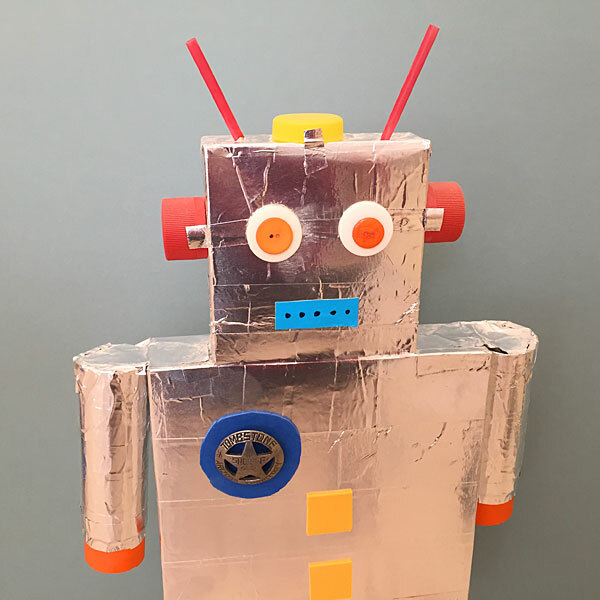 This cute Robot is made from all recycled materials. 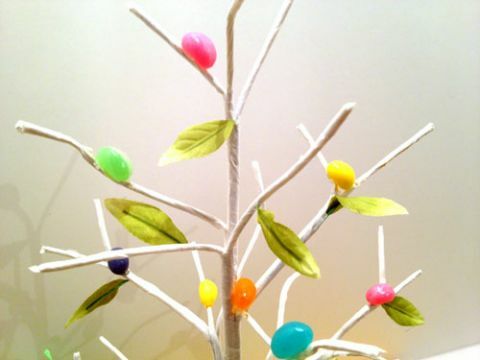 Kids love to make these and they look great as a fun room decoration. 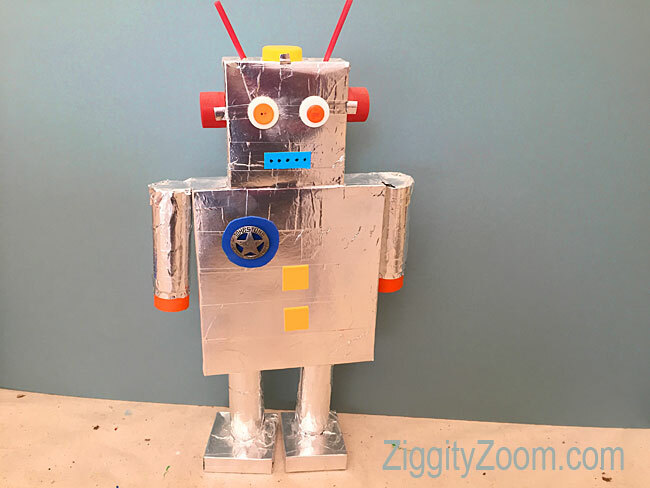 What a fun project for a robot theme party. 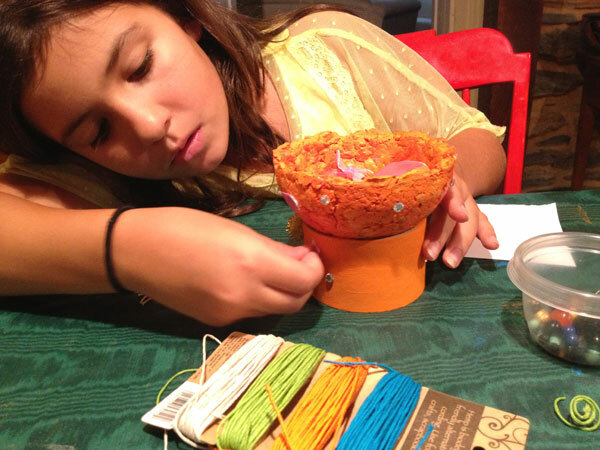 Just gather a bunch of found objects and boxes and let the kids make their own. If you provide small boxes like jello boxes the projects will be manageable. Discarded boxes, paper tubes, buttons, straws etc. Find a box that will serve for the Robot body. We used cracker boxes. Also find a smaller box for the head. 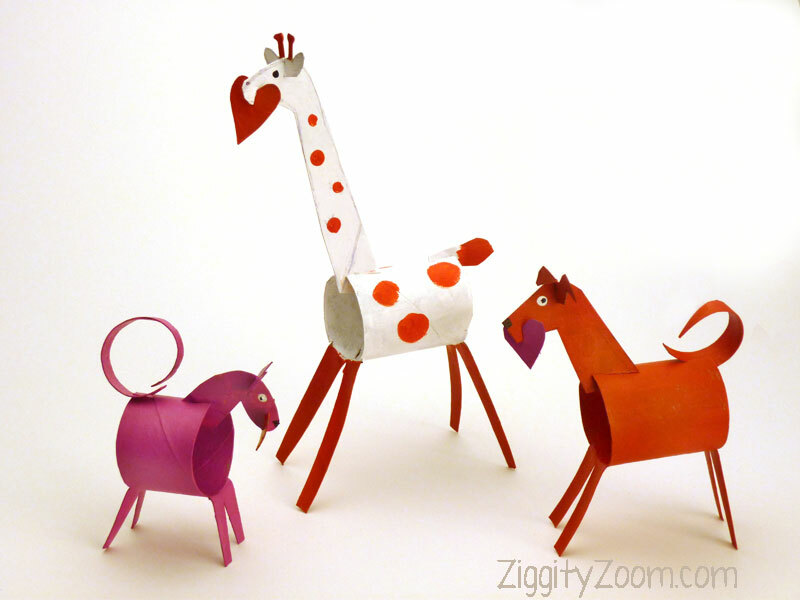 Collect some paper tubes (toilet paper or paper towel tubes) for arms and legs. We save this type of thing for future projects. These can all be saved in a plastic crate or tote. 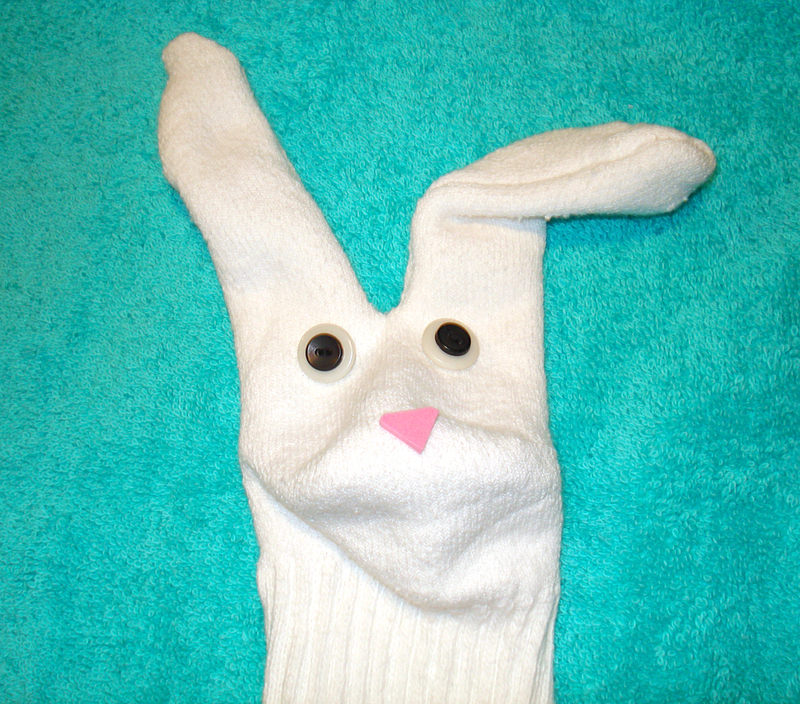 Gather items for eyes, mouth, antennae and decoration. We used empty jello boxes for feet but look and see what you have on hand. Use masking tape to seal all ends of the boxes and then attach head to body with masking tape. Cover with either reynolds wrap and tape with clear tape or glue in place. The other option, which we did, is to use metallic tape and wrap the body and head with this. Next, wrap the arms and legs with the metallic tape or wrap and then attach legs and arms with either masking tape or clear tape to the body. Last pieces of tape will have to be covered with metallic look also. Apply eyes, mouth etc with glue and let dry. Now you have a cute little Robot too!